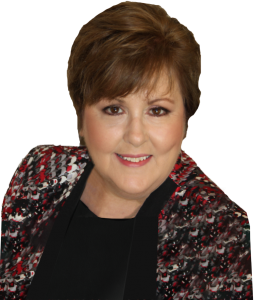 Ms. Ramage has been licensed to practice law since 1992. A former social worker, Ms. Ramage has practiced law in many areas specific to protecting the rights of children since that time. From 1992-1997, Sharon served as an Assistant Criminal District Attorney in Tarrant County, and was assigned to the Crimes Against Children Division from 1995-1997. After resigning from the District Attorney’s Office, Ms. Ramage opened a private practice in Tarrant County, where she practiced special education law and family law. Since 2000, Ms. Ramage has worked in private practice in Collin County, primarily in the areas of special education law, family law and adoption. For 12 years, Sharon Ramage served as a Special Education Hearing Officer and Mediator for the Texas Education Agency, conducting special education due process hearings and mediating disputes between schools and parents. Ms. Ramage has the experience and specialized knowledge to provide competent representation to families with special needs children. Ms. Ramage co-authored a book about children and the law, All About Texas Law and Kids, published by Texas Lawyer Press. Ms. Ramage is frequently called upon to instruct other attorneys in the areas of her expertise. She has lectured other professionals on special education law topics by serving on the faculty of the National Academy for IDEA Administrative Law Judges & Hearing Officers as well as the National Administrative Law Judiciary Conference Ms. Ramage frequently lectures on special education and family law topics for local bar associations. Ms. Ramage’s private practice is devoted to special education and family law. In her special education law practice, she works hard to assist families by representing them in due process hearings or mediation. As a family law attorney, she assists families and children during divorce, custody and child support disputes, and collaborative family law. Ms. Ramage also represents parents in domestic and foreign adoptions. Ms. Ramage is married and the mother of two children adopted from China.